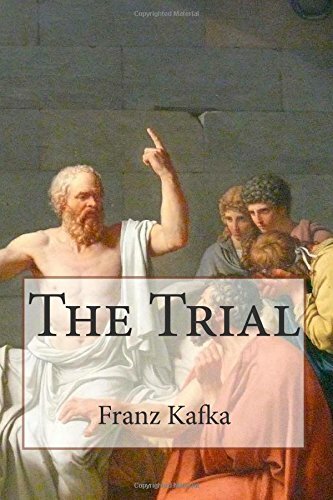 Amazon.com description: Product Description: The Trial (original German title: Der Process later Der Prozess, Der ProceÃ and Der ProzeÃ) is a novel written by Franz Kafka in 1914 and 1915 but not published until 1925. One of Kafka's best-known works, it tells the story of a man arrested and prosecuted by a remote, inaccessible authority, with the nature of his crime revealed neither to him nor the reader. Like Kafka's other novels, The Trial was never completed, although it does include a chapter which brings the story to an end. Because of this, there are some inconsistencies and discontinuities in narration within the novel, such as disparities in timing.